I started watching Kevin Brownlow’s 1908 documentary series, Hollywood, this weekend. It’s twelve parts and so far, I’ve gotten through eight. The series is filled with interviews with actors, directors, writers, and others involved in silent films and the Hollywood studio system of the 1920s. One of the most featured interviewees is Gloria Swanson. I didn’t really care about Gloria Swanson until watching her interview. I saw Sunset Boulevard when I was in college out of some sense of duty I felt to watch “classic American films” that I had never seen before. I assumed that Gloria Swanson had been like the character she played, Norma Desmond, a forgotten silent film star. (But a less crazy version, obviously.) I’ve never seen her act in anything else. I think I’m mostly obsessed with Gloria Swanson because of her whole vibe in the interview. Her hair is perfect. Her eyebrows are meticulously shaped or drawn on. (I can’t tell. The video quality on YouTube is kind of poor.) Here eyes are expressive, even with the presence of what look to be rather heavy false eyelashes. Her voice is still surprisingly girlish. 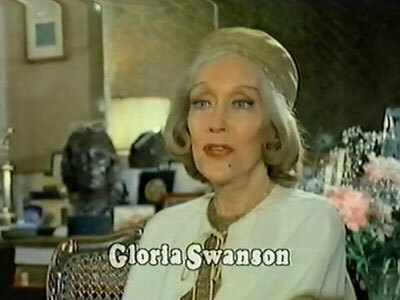 But the thing I’m most impressed with about Gloria Swanson in 1980 is the fact that she’s chosen to be interviewed in front of what I think is a bust of Gloria Swanson. Now all I want to do is watch more Hollywood and read Gloria Swanson’s Wiki and the “Scandals of Classic Hollywood” on her and also her autobiography, which is delightfully called Swanson on Swanson. Where are her wrinkles??? She was amazing. Always loved her. 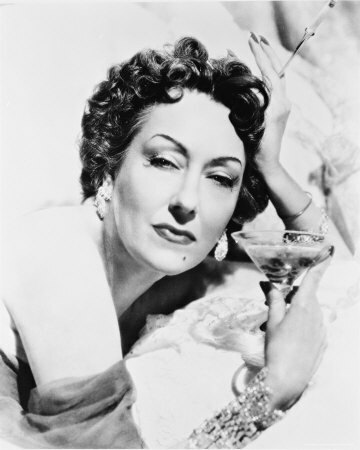 I have this photo of her in my office: http://img3.wikia.nocookie.net/__cb20130319033447/villains/images/e/ed/Gloria_Swanson_as_Norma_Desmond.jpg. Great post!